Rural Revolution: He is risen! Here's my WND column for this weekend entitled "Keep Your Eyes on the Prize." At the age of 64, after studying world religions, Sir Lionel Luckhoo became a Christian. Addressing audiences worldwide, including presidents, kings, parliaments, cabinets, bar associations, and the United Nations, Sir Lionel Luckhoo stated: "The bones of Muhammad are in Medina, the bones of Confucius are in Shantung, the cremated bones of Buddha are in Nepal. Thousands pay pilgrimages to worship at their tombs which contain their bones. But in Jerusalem there is a cave cut into the rock. This is the tomb of Jesus. It is empty! Yes, empty! Because he is risen! He died, physically and historically. 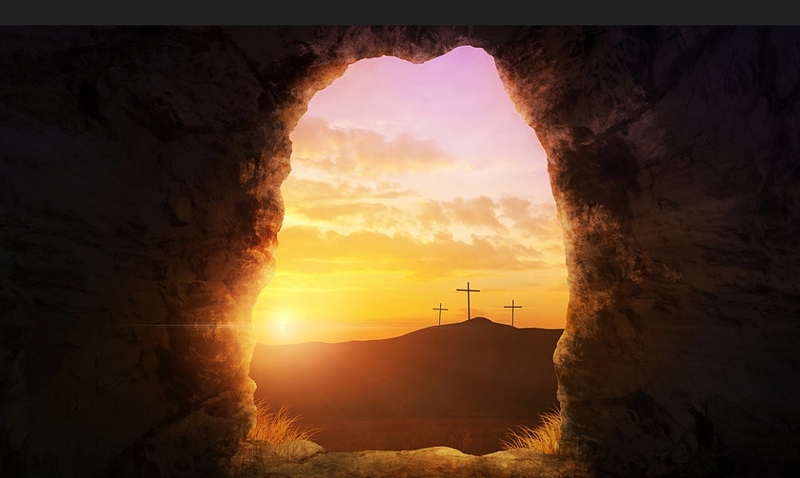 He arose from the dead, and now sits at the right hand of God." Hoping you and your family had a blessed day. Happy Easter! Blessings to you and yours, Patrice. We seem to touch the divine on Easter! The Resurrection is so amazing and so important that the Church does not just celebrate it as one single day, but as an entire week. Every day this week is all part of Easter. Don't go back to normal life yet... we are an Easter people who know how to celebrate our Lord's triumph over death! For an entire week!